Final Concert 2017 — Crashendo! Rossini flutes, clarinets & strings all performing together. A LOT of excitement had built over the weeks running up to our end-of-year concert on Thursday 7 December. It would be the first major concert for our Rossini students who started with us in July - and they were jumping out of their skin! It was also our first concert featuring our new woodwind section. Students playing flutes and clarinets for the first time wowed our audience. How far they had come in only six months. All our Crashendo! groups performed - Elgars, Beethovens, Mozarts and Rossinis. Pieces included Dragonhunter (Richard Meyer), Jingle Bells, Merrily We Roll Along, Rainbow (Stephen Chin) and much more. We are so proud of what all Crashendo! students achieved in 2017 - what a year! 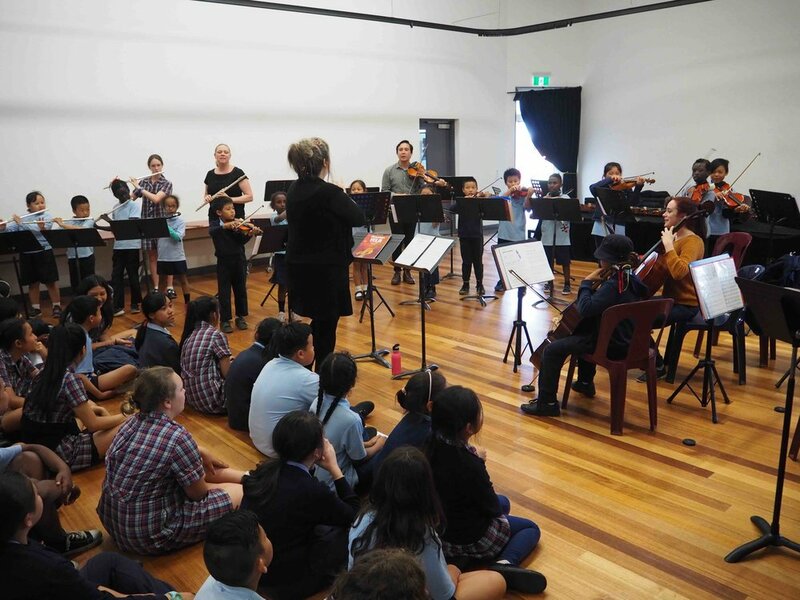 We expanded to include woodwind instruments and performed two or more concerts every term. We look forward to 2018 being just as fabulous!